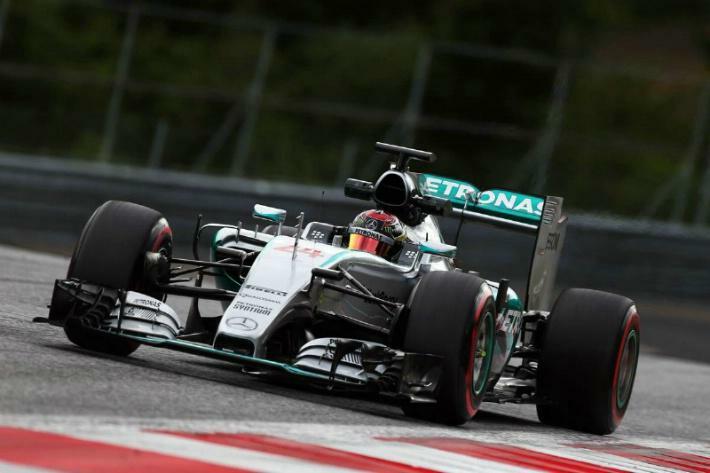 Formula One’s second mid-season test got under-way today at the Red Bull Ring in Austria; 2 days after the Grand Prix last weekend. Mercedes young driver Pascal Wehrlein topped the standings ahead of fellow Mercedes backed driver Esteban Ocon; who was behind the wheel of the Force India. The session was extended by 2 hours after torrential rain washed out the morning session; with only 2 drivers braving to even set an installation lap. Wehrlein’s time came after the Red Bull ring had a chance to dry during the afternoon session. His best time of 1’11.005 was 1.6 seconds slower than Lewis Hamilton’s pole position time in Qualifying for the Grand Prix. Wehrlein had been set to drive for Force India today but on account of the awful conditions, Mercedes elected to rest Rosberg until tomorrow when the forecast is better. They drafted in Wehrlein for today, with Esteban Ocon taking the Force India seat. Ocon, also a Mercedes junior, ended the day in 2nd by less than 2 tenths. The Frenchman tested a partial B-spec car with a new front nose design. Max Verstappen was one of the two drivers in action today who are currently racing in Formula One. He was behind the wheel of his Toro Rosso and he set the 3rd fastest time with the highest lap tally. The Dutchman completed 97 laps, 17 more than the next highest amount. GP3 driver and Ferrari junior driver Antonio Fuoco was behind the wheel of the Ferrari as he made his debut behind the wheel of a Formula One car. The Italian scored a podium in the Austrian GP3 race last weekend, but the day didn’t go as smoothly for him today. Fuoco set the 4th fastest time, 4 tenths down on Wehrlein after completing the exact race distance of 71 laps, but his day ended early after crashing the car at turn 1. Romain Grosjean was 5th fastest for Lotus with 45 laps to his name. He was 2 tenths faster than fellow Frenchman Pierre Gasly in the Red Bull. Gasly completed the second highest amount of laps after a productive, but lengthened, 11 hour test. Gasly was followed by Raffaele Marciello, with Sauber fielding their third driver for the first day of testing. After narrowly missing out on taking a rare double win in last weekend’s GP2 action, Stoffel Vandoorne was behind the wheel of the McLaren-Honda. Thankfully for the Belgian, the McLaren went the whole day without stopping out on track with a mechanical problem. Fernando Alonso will be hoping for the same luck when he drives the car tomorrow. Propping up the time-sheets behind Vandoorne was Williams development driver Susie Wolff, who completed the lowest tally of laps with just 39. Manor elected not to run in this test, as they had done in the previous test after the Spanish Grand Prix at the Circuit de Catalunya in May. The test will continue tomorrow with drivers set to take part including Daniel Ricciardo, Valtteri Bottas, Nico Rosberg, Felipe Nasr and Formula One debutante and reigning DTM champion Marco Wittmann.